The next role without which Scrum would be incomplete is the Development Team. Let’s explore the accountability, responsibility and attributes of the Development Team. Self-Organizing: The Development Team selects the work that it is supposed to do during the Sprint. No one, not even the Scrum Master/PO tells the Development Team how they are going to deliver the potentially releasable increment. Cross-Functional: The Development Team has all the necessary skill-set required to convert the selected Product Backlog items into a potentially releasable increment. Size: The optimal size for the Development Team is 3-9 members. 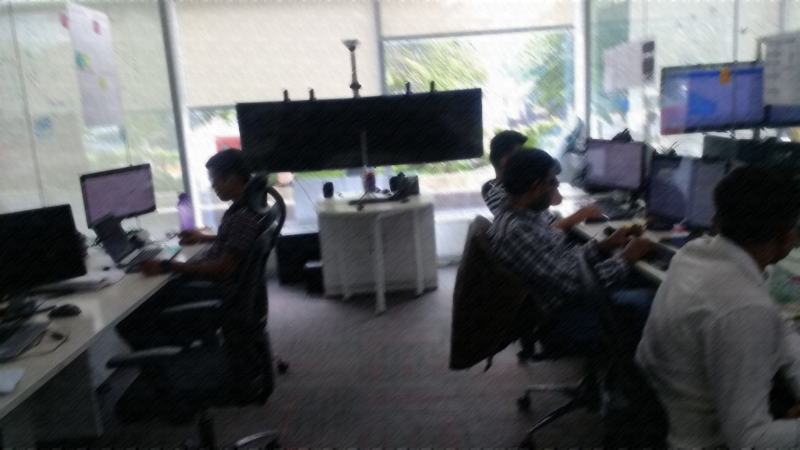 With less than 3 members, the Development Team may not have enough skill-set to create the potentially releasable increment. Having more than 9 members on the Development Team may create additional complexity which might be difficult to be managed with the empirical process. Title: There is only one title on the Development Team and that is “Developer”. Scrum recognizes no other titles. It also discards the notion of sub-teams. The Development team is accountable for delivering an increment of potentially releasable “Done” product at the end of the Sprint. The Development Team is also accountable for the quality of the “Done” product increment. Selecting the work that can be done during a Sprint. Refining i.e. clearly understanding and estimating the Product Backlog items for upcoming sprints. Ensuring the quality of potentially releasable “Done” increment. Crafts the Definition of Done, to raise transparency and create a shared understanding about what it takes to say that work is complete. Collaborate with the Product Owner for the success of the product. Collaborate with the Scrum Master to understand and enact Scrum framework. Keep the artifacts – sprint backlog, increment transparent at all the times. Keep track of their progress towards the sprint goal, and make necessary adjustments if variances are found. Participate in the Daily Scrum. The Development Team consists of 3-9 self-organized, cross-functional members accountable for delivery of potentially releasable increment of “Done” product. Agile, Development Team, Scrum, Scrum Roles. Bookmark.